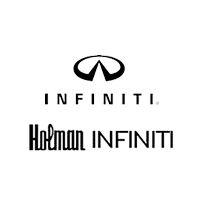 Thank you for paying a visit to Holman INFINITI, your local Maple Shade dealership. We also proudly provide services for Cherry Hill, NJ, the greater Philadelphia area, and all locations and customers in between. We sell new and preowned INFINITI vehicles and we can’t wait to show you our latest selections. Our INFINITI Service Center is contains advanced diagnostic computers and other resources that give our technicians a distinct servicing advantage. We invite you to peruse the model reviews that can found here. Our INFINITI vehicles are loaded with great features to really make them stand out from the pack. With our INFINITI Q50 line, a Direct Adaptive Steering system comes standard, which is a system that allows for instant driver selection that can be electronically registered and regulated up to 1,000 times per second. Other standard features for this class of vehicle include autonomous emergency braking, detection of moving objects, 360-degree surround-view camera, adaptive, responsive high-beams, lane-monitoring assist, blind-spot monitoring, LED headlamps and lane-departure warning. LED headlights, tail lights and fog lights, as well as 17-inch alloy wheels, an audio system with six speakers, a leather interior, keyless entry, and heated mirrors, keyless are all standard. The AutoPacific Vehicle Satisfaction Awards recognized the QX80 as the top choice for the luxury/large SUV category in 2015. Since winning the award in 2015, the QX80 has gone on to win the award for four years running. AutoPacific is an auto research and consulting company that determines winners of its various categories by surveying owners who have actually purchased the vehicles. The Vehicle Satisfaction Award represents outstanding customer support and satisfaction with a combination of superior performance and design. The Bose Premium Audio System, 8,500 pound towing capacity, and the Hard Drive Navigation System are a few features in particular that make the QX80 stand apart from the other available choices. The Insurance Institute for Highway Safety (IIHS) delivers Top Safety Pick+ awards annually to the vehicles selected as having the highest safety ratings, and in 2015 the Q50 and Q70 emerged victorious. The IIHS regularly performs crash tests to best determine which vehicle is worthy of such an award. In order to be awarded the Top Safety Pick+ award, vehicles must both qualify as Top Safety Picks and receive a “superior” or at least an “advanced” rating in preventing front crashes. INFINITI’s vehicles in particular are widely recognized for their effective front crash safety measures, as well as for their Forward Emergency Braking (FEB) technology. This FEB technology warns drivers of possible dangerous crashes through both visual and auditory alerts, and it also partially puts on the brakes. On top of that, those models have an optional Predictive Forward Collision Warning feature that can alert drivers of hazards that may be in their blind spots. If you are searching for a vehicle that is high-performance, elegant, and entertaining, while simultaneous being a comfortable and safe ride, then you should consider the superior quality and design of INFINITI. These vehicles will surely be an impressive addition to any home or mansion car collection. Come stop by our dealership or call us today for an INFINITI test drive.